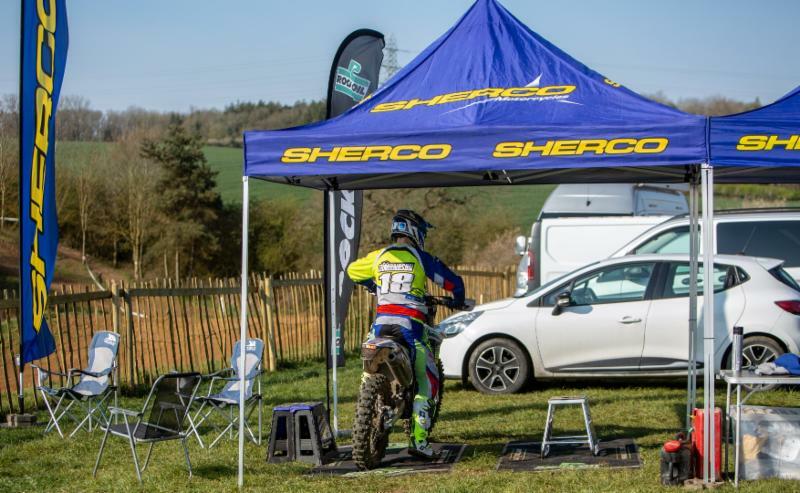 FIRST HAT TRICK FOR MRS/SHERCO TEAM RIDERS It was a 1-2-3 for MRS/Sherco riders Jack Edmondson, Hamish Macdonald and Jed Etchells on day two of the British Sprint Championship on Sunday 14th April. 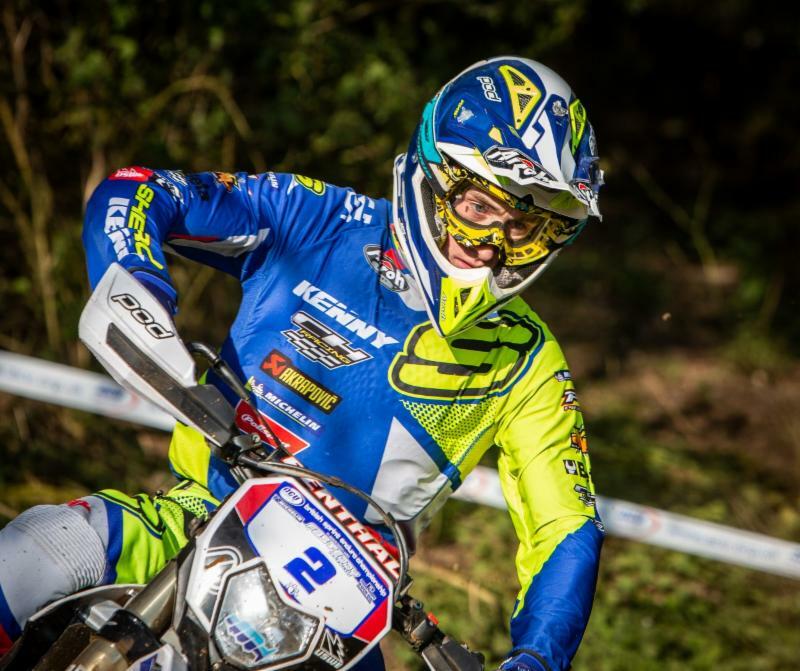 The second round, which was a double-header, was held at Champs Parc in Kettering and was a superb course which consisted of both a tight and technical course as well as a motocross track. It was a perfect all round course which suited all the riders and very different to the first event at Bicton, Shrewsbury. Saturday saw young Jack Edmondson take his second win of the season in fine form on his trusty 3.0 SEF Factory machine. 18-year-old Jed Etchells on his 3.0 2T Factory back from the European Championship the previous week, finished fifth. Aaron Gordon on his 3.0 4T finished 8th with Paul Edmondson having a rare outing on a 2.5 4T taking 3rd Expert and 10th overall with Ricky Wiggins 4th expert and 11th overall. Hamish Macdonald, riding a 2.5 2T had a day to forget finishing 12th overall. Although he started with a win in the first test he had a massive crash which caused him to drop precious time which affected his overall result on the day. 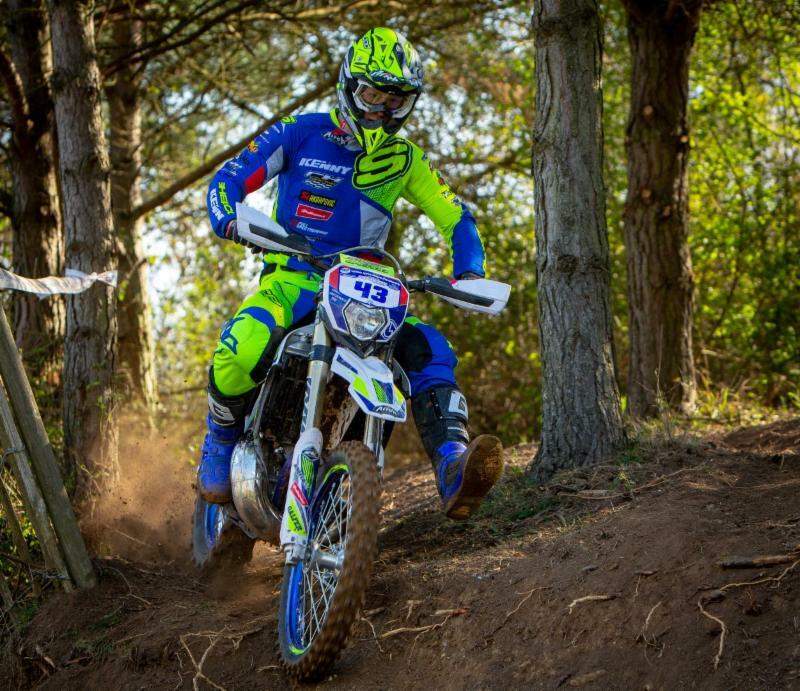 A piece of history was made on day two of the British Sprint with Sherco taking the top three places on the Sunday. Once again Jack Edmondson was unbeatable and Hamish Macdonald had a much better day finishing second overall. Isle of Man resident Jed Etchells took the last place on the podium with a brilliant third place on his 3.0 2T Factory Sherco. MRS Sherco rider Aaron Gordon finished 10th overall with Ricky Wiggins 5th Expert and 15th overall. 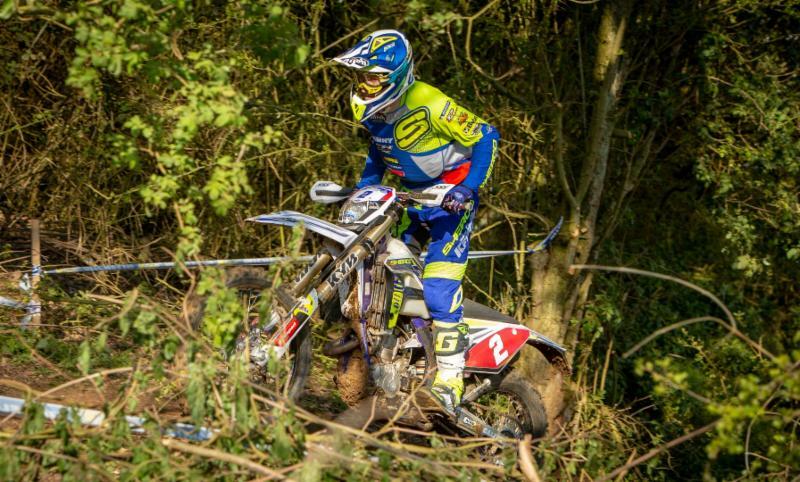 Jack Edmondson – “I’m really happy to grab my second win of the season in the British Sprint Championship. The times were pretty close between a coupld of us but as they made some mistakes throughout the day I was able to keep my times consistent. 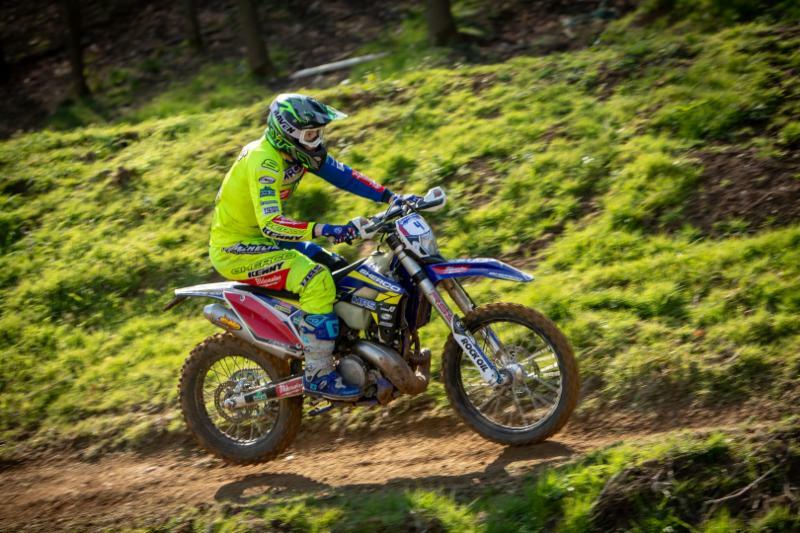 My Sherco 300 SEF handled really well in the tight technical test set out by Tom Sagar and his team. The dry dusty conditions seemed to suit the bike really well. Hamish Macdonald – “The Saturday started out awesome, winning a test and fighting for the lead. After a small mistake and a flat tyre I dropped back, I pushed hard in the afternoon making a big mistake going over the bars and breaking the radiator losing two minutes in that test, my day was over after that!” Sunday started great from the get go, the track was in reverse so you had to think about where you were going a lot more, the ruts and everything about it was a lot more challenging, but I really enjoyed it! After the first test I was two seconds down on Jack. 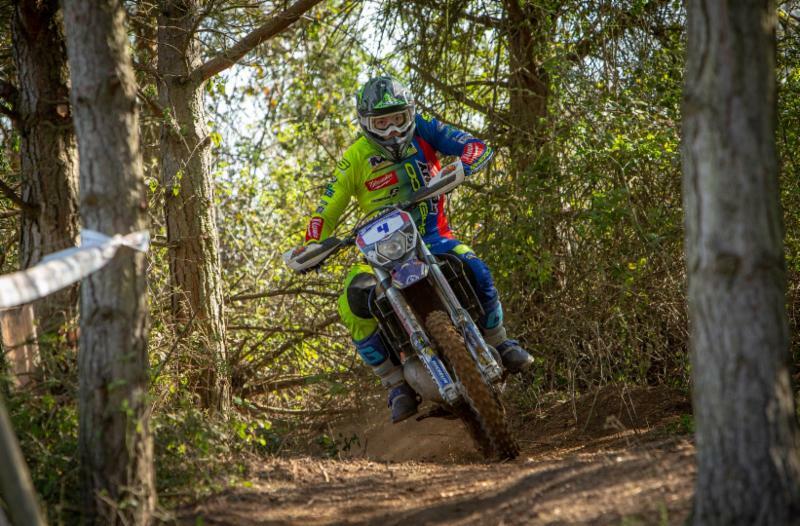 I rode smooth and tried to minimize my mistakes throughout the day, it was nice to put down some solid times and happy to finish in second.” Jed Etchells – “It was a really good weekend at the British Sprint Championship. The tests rode well and became very enjoyable. I slipped off on the first test on Saturday but after that I started to get some good consistent times finishing in 5th overall. On Sunday the test was in reverse and I had a much better day, finishing every test in third place. I finished second overall on the two days and it was really good to be a part of the team between the tests under the Sherco awning, it is a great atmosphere and makes you more relaxed for riding.” Next event will be a double header British Enduro Championship event on 25th/26th May which is run by Dirt Bike Action in Cumbria.